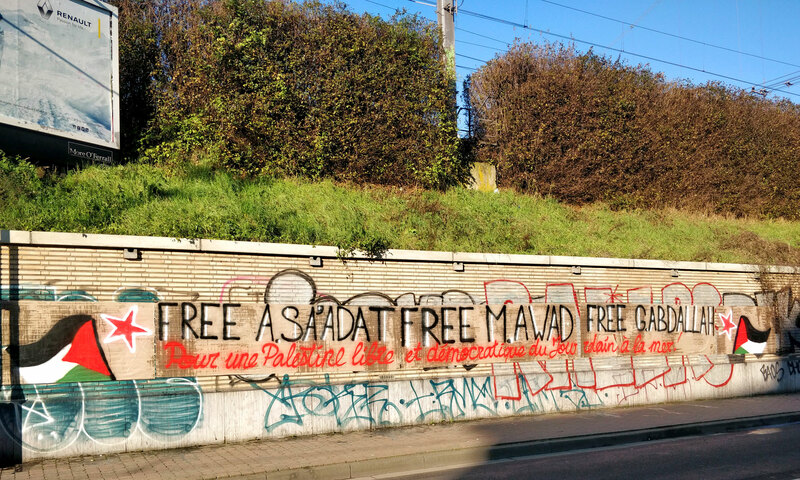 Brussels-South Station, January 19th 2019, action for Palestinian prisoners. Free, secular and democratic Palestine, from the river to the sea. Freedom for all political prisoners, freedom for all Palestinian prisoners.